With the new year well and truly underway, we at Silver Birch Dell are looking forward to another busy and very exciting twelve months! 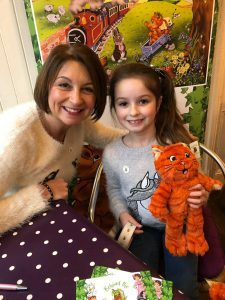 Having gained a lot of new fans during the Christmas period, the book sales are going from strength to strength with so many of our adventures being shared with everyone! It was really wonderful to see returning fans buying all the other titles in the series so far! DT is certainly proving more and more popular with both boys and girls! 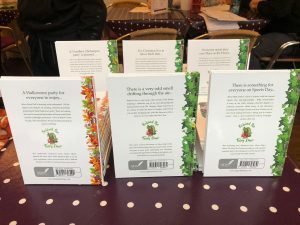 The Flower Cafe event in December was very enjoyable despite the dreadful weather! 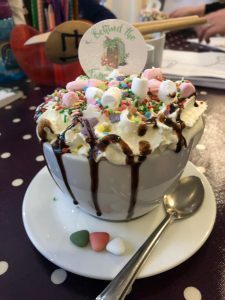 Thank you to everyone who came to see us and to taste the delicious ‘Behind The Fairy Door’ Hot Chocolates! 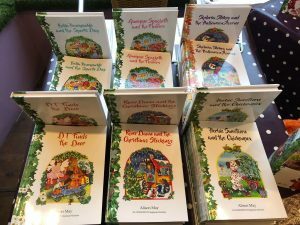 Our six published adventures to date are all available on the website shop, along with DT himself! They all contain messages of gentle reminders of friendship and so on. This proved very popular with parents, grandparents and carers. Have fun, whatever you read and stay snug and warm! Previous post: The festive season is well & truly all around us!